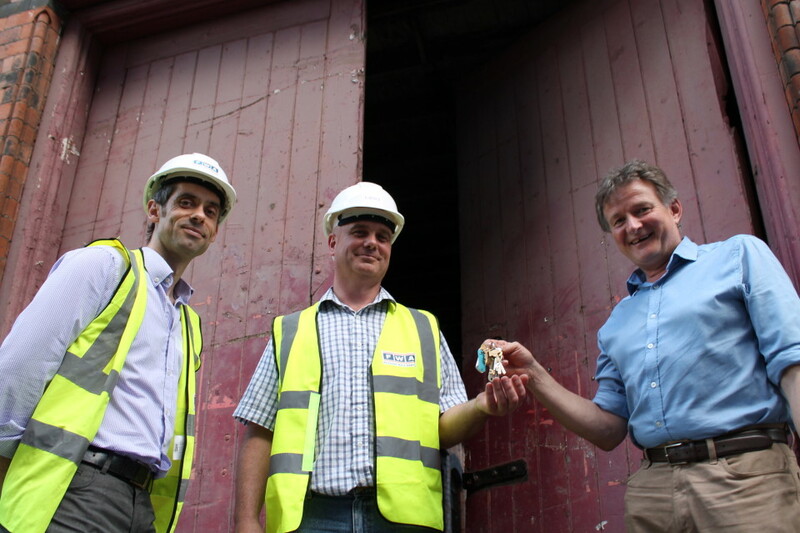 The Trust’s major project over the last decade has been to create a sustainable ‘rescue’ package for the Newman Brothers coffin fittings factory in Fleet Street, in Birmingham’s historic Jewellery Quarter. In 2014 the grade II* listed building, built in 1894, was taken off Historic England’s (was English Heritage) ‘Buildings at Risk Register’ after a 15 year campaign to save this remarkable building and its contents. 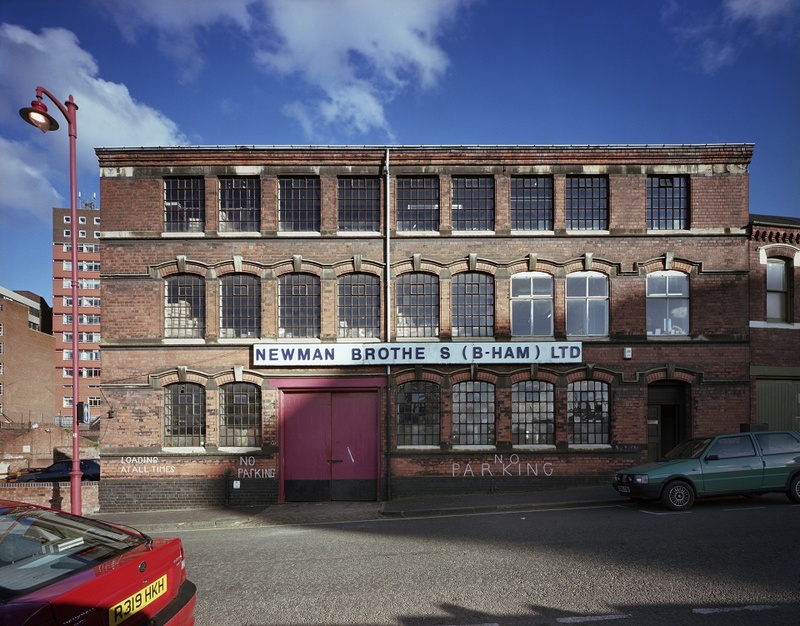 Below is a short film put together to show how Birmingham Conservation Trust conserved the Newman Brothers factory, and continue to preserve the collection and memories of the people who worked there. 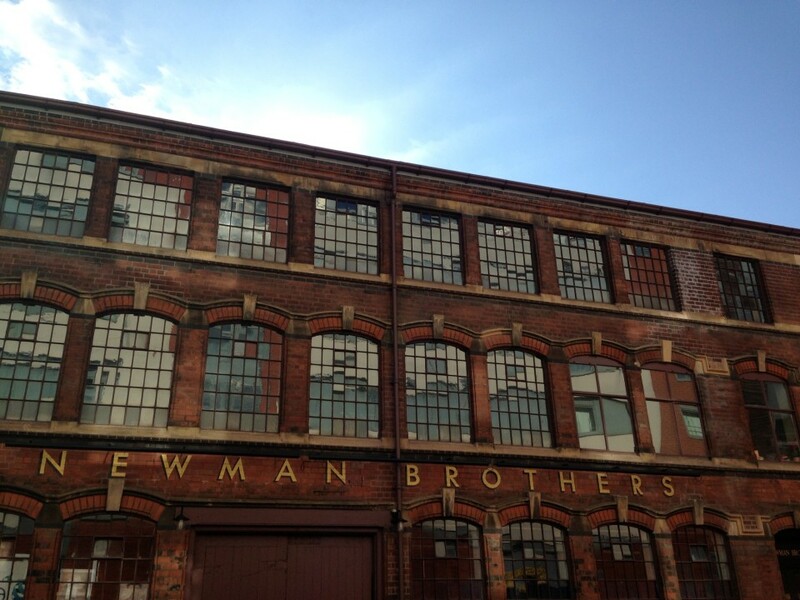 The Newman Brothers Conservation Story in under 4 minutes from BirminghamCT/Garbi on Vimeo. 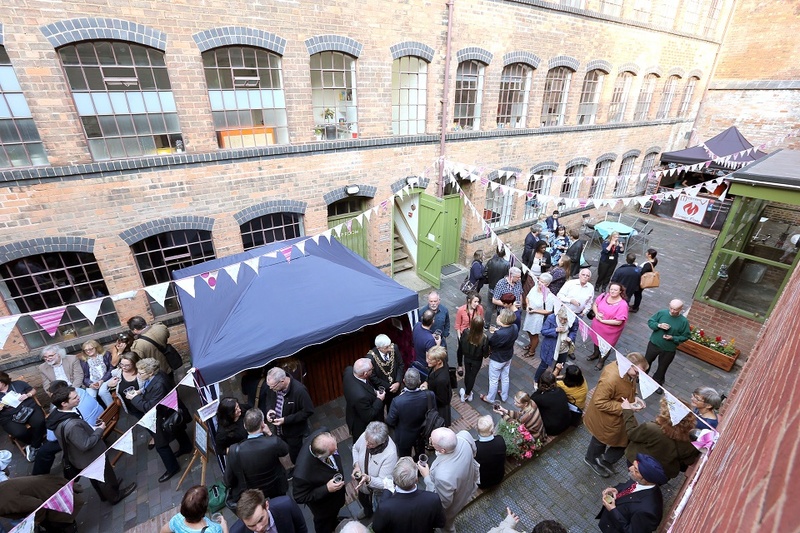 Whilst our building preservation project is now complete in a sense, the work continues as The Coffin Works is now open to the public, offering both a ‘time capsule’ museum, commercial units to let and a range of events and activities centred around its historic courtyard. The Birmingham Conservation Trust has also relocated its own office to the factory. We are really proud of all the awards that the Coffin Works Project has received. They acknowledge all the hard work that the staff and volunteers at Birmingham Conservation Trust have put in to bring this important and inspiring slice of Birmingham’s history alive. Please visit the Coffin Works website where you will find a wealth of information about arranging a visit, its history, collections and a detailed look at the building conservation project. A marketing leaflet can also be downloaded HERE. Newman Brothers Ltd. ceased trading in 1999, after 120 years in operation. The office at the factory in 2007. All the contents were left in the factory as if at the end of an ordinary working day. 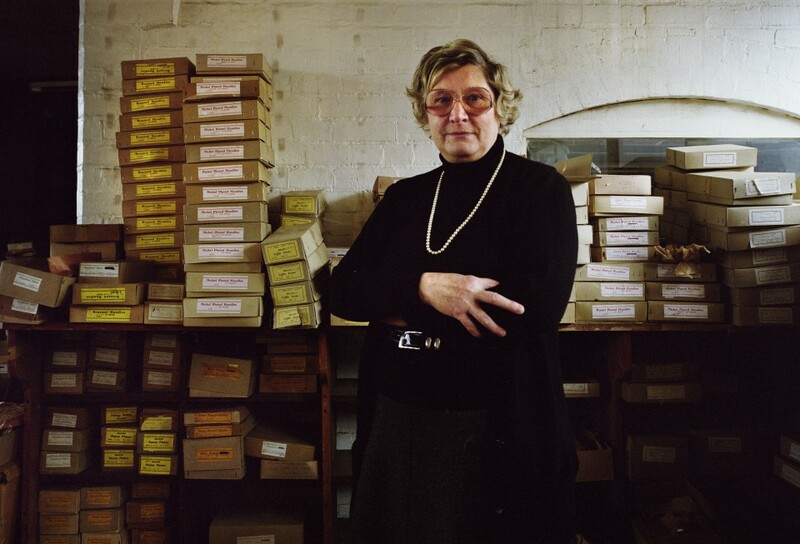 Joyce Green, the last owner of Newman Brothers, campaigned for five years to secure a future for the factory as a museum. The building was given grade II* listed status by English Heritage (now called Historic England) in 2001. 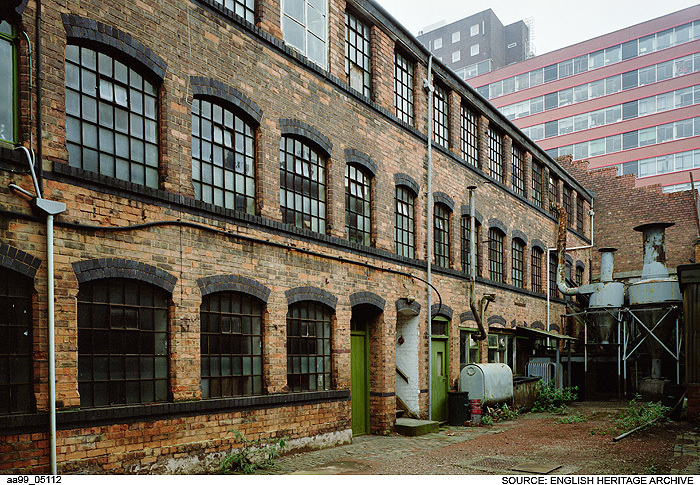 In 2003 Joyce sold the business to the regional development agency at the time, Advantage West Midlands (AWM), with the understanding that Birmingham Conservation Trust would develop plans and oversee the project. This same year the project featured on the BBC television series, Restoration, which drummed up public interest in the project. In 2007 Ironbridge Archaeology, with the help of volunteers, catalogued all the contents left in the factory, packed them up and moved them to a secure warehouse to preserve them whilst the building was further deteriorating. In 2008 the project was on track and £1.5m of funding and planning permission had been secured. 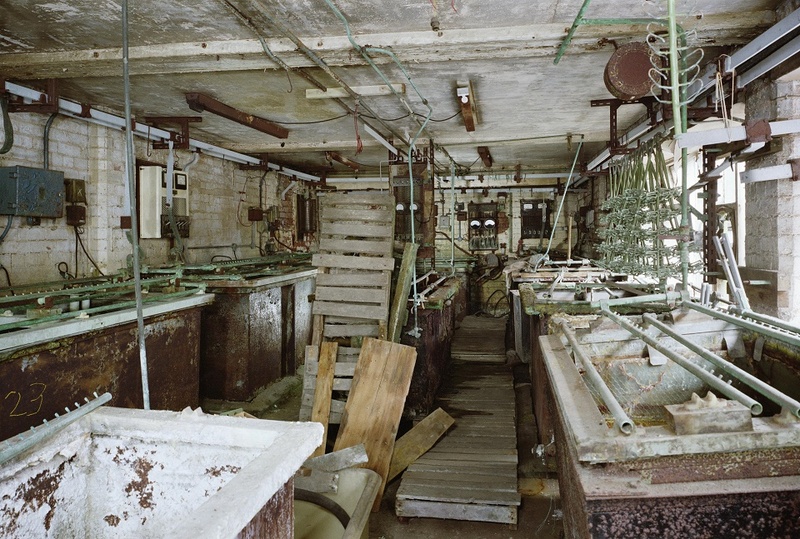 In 2009 the Electroplating Shop (above) was emptied and decontaminated at a cost of £300k. Then disaster struck… Advantage West Midlands, who owned the building and were the chief supporter of the project, had its funding withdrawn by central government and announced that they would be unable to assist Birmingham Conservation Trust with any further grants. Read blog post. 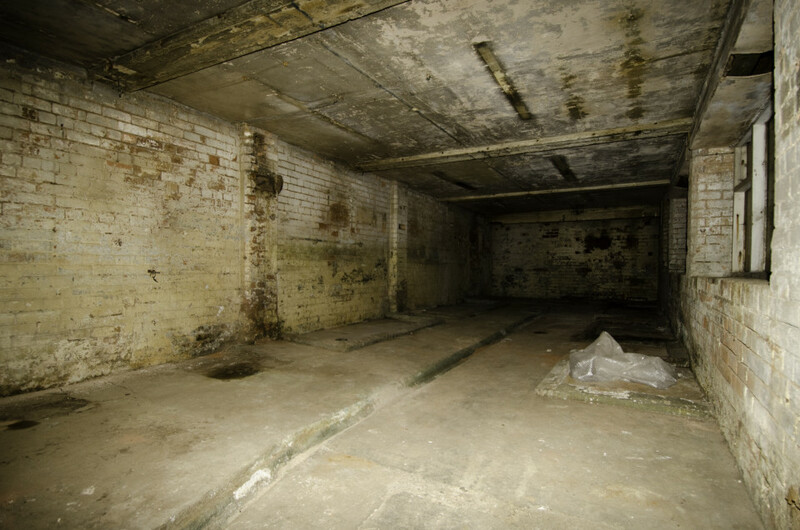 In 2010, and with the help of a grant from Birmingham City Council, BCT purchased the building and its contents from AWM (read blog post). A complete re-think of the project was in order to reduce the costs by half to secure the £2m necessary to transform the building and guarantee funding. In 2011 the Heritage Lottery Grant awarded the project just under £1m. Read blog post. In 2012 a professional team were appointed, revised planning permissions and listed building consent were secured. In July 2013 contractors started on site. Read blog post. Between July 2013 and September 2014, building contractors Fairhurst Ward Abbotts, along with architects Rodney Melville and Partners and the wider professional team contracted by Birmingham Conservation Trust, worked hard to transform a semi-derelict building into a visitor attraction and mixed-use development. This transformation always kept the historical integrity of the building at the heart of the project, so that as many original features have been restored and retained as possible. Click HERE for films of the professional team speaking about some of the conservation challenges. The Electroplating Shop before the transformation into modern office/workshop space began in 2013. 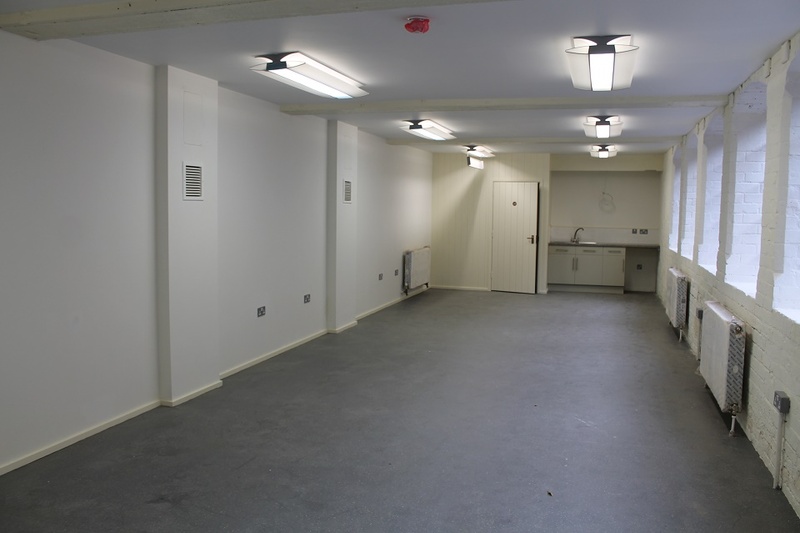 A usable space once more and, like all our units in 2014, fully occupied by tenants. We captured the building works in progress. See HERE for galleries of pre-conservation and transformation images. Over this period there was lots of activity going on behind the scenes; we were running tours, working in schools, researching the business, recruiting and training a team of volunteers, creating resources and interpretation, and preparing for opening! 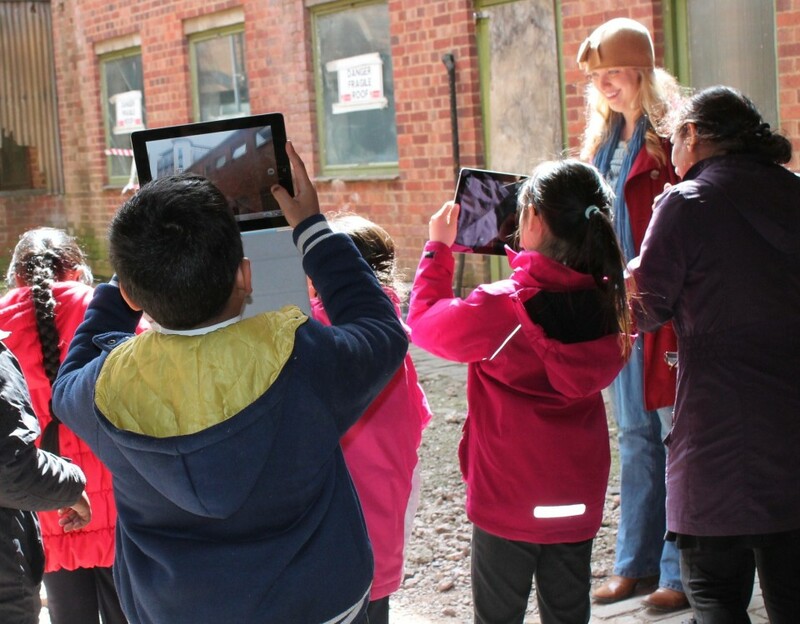 Children became history detectives during school visits before conservation works began. In 2014 the contents, which were removed in 2007 to help preserve them, were brought back to the factory to fill the shelves and work benches once more. 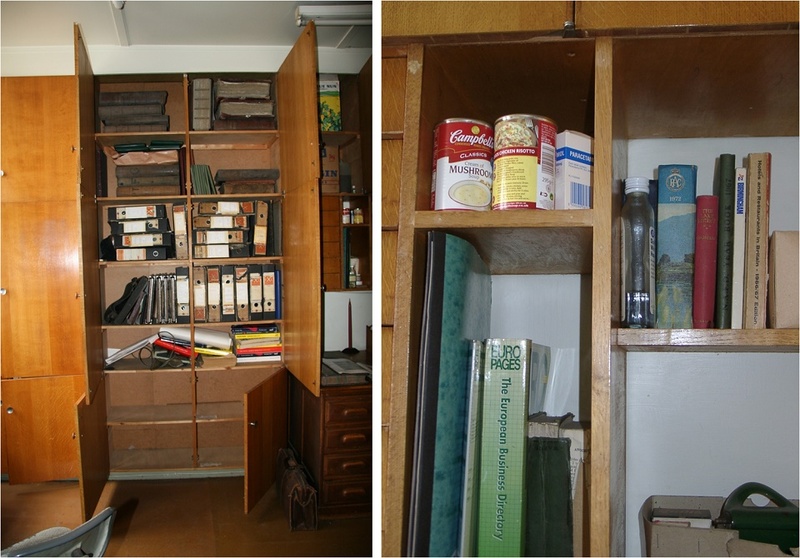 The ‘move’ was expertly led by Sarah Hayes our Collections and Exhibitions Manager, who used photographs of the factory dating back to 2001 and 2007 to re-dress the rooms and recreate the ‘time capsule’ factory in the museum spaces. Read Sarah’s blog post about the collections’ ‘Homecoming’. 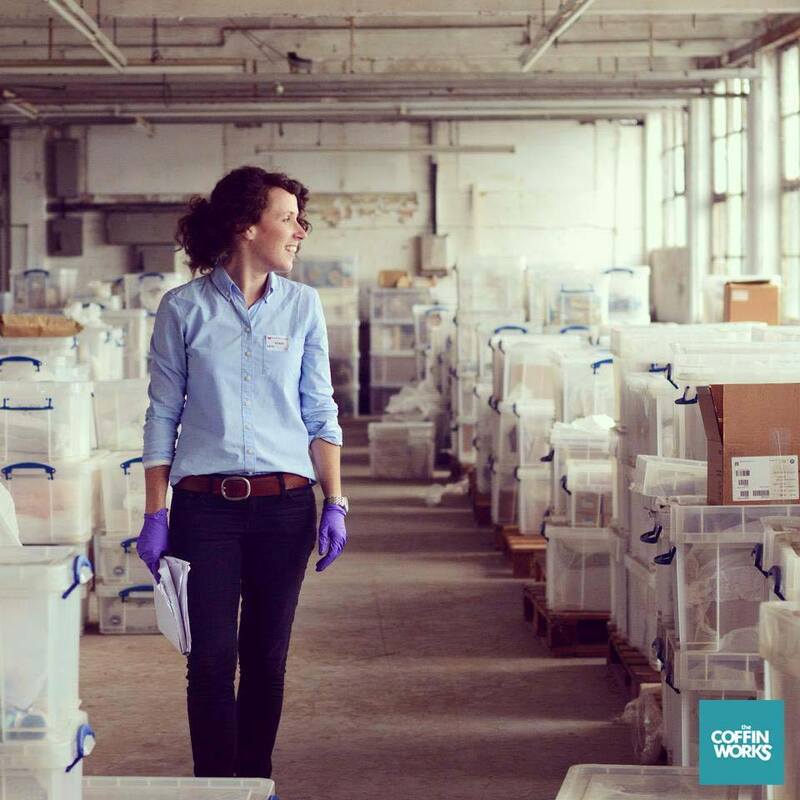 Sarah Hayes in the warehouse where over 800 boxes of objects needed to be explored whilst in storage, along with machinery, work benches, furniture and dies. A huge job led by Sarah with an amazing group of volunteers who both documented and conserved a large proportion of the Newman Brothers Collection. Work is on-going. During the last 15 months of our 15 year project we worked with some wonderful volunteers, freelancers, professionals and a great team of staff. This film, The Making of the Coffin Works, ties this all together. Paul Brook and Debbie Underhill followed us around during a 12 month period to capture our story and the huge team of people who have been involved. Enjoy! The Making Of The Coffin Works Final MP4 from BirminghamCT/Garbi on Vimeo. In October 2014 Newman Brothers is back in business! This time as a mixed-use development which includes a museum and commercial units to let. 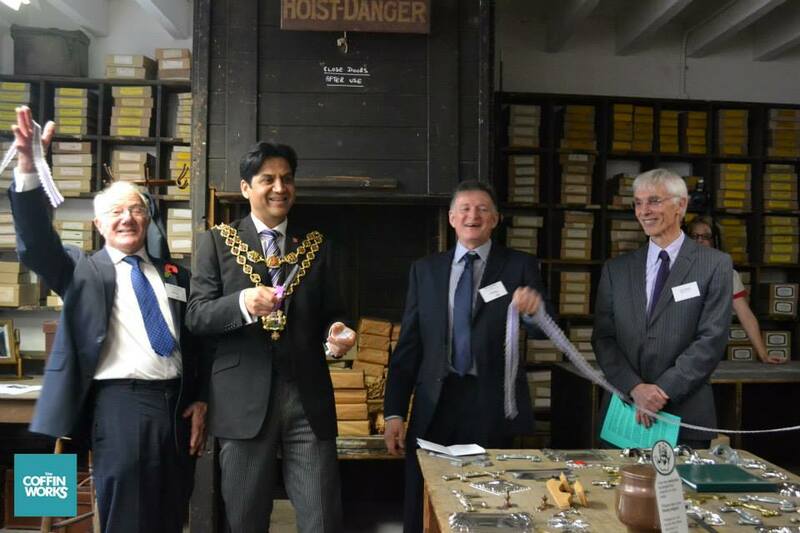 Officially opening the Coffin Works from left to right: Former BCT Chair Cllr Bob Beauchamp, the Lord Mayor 2014 Cllr Shafique Shah, BCT Director Simon Buteux, and Les Sparks Chair of the HLF Committee. 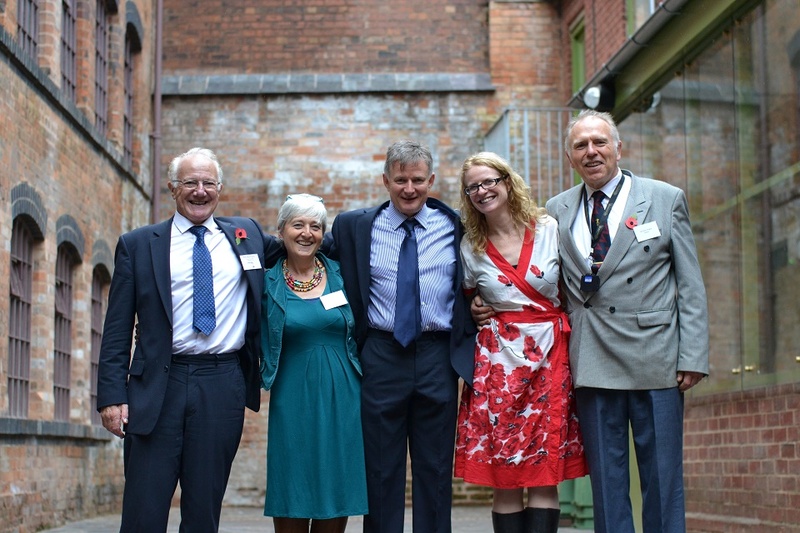 At the official launch on 28 October 2014 from left to right are some of the key people involved in the project: Cllr Bob Beauchamp former Chair of BCT, former Director Elizabeth Perkins who led the project for over 13 years, current Director Simon Buteux who led the project from 2013, former Development Officer Suzanne Carter who led the programme of community engagement from 2012 until 2015, including the development of the visitor attraction, and former BCT Chair Cllr Peter Douglas-Osborne who set the ball rolling for BCT to purchase the building in 2010. A proud day for all concerned.